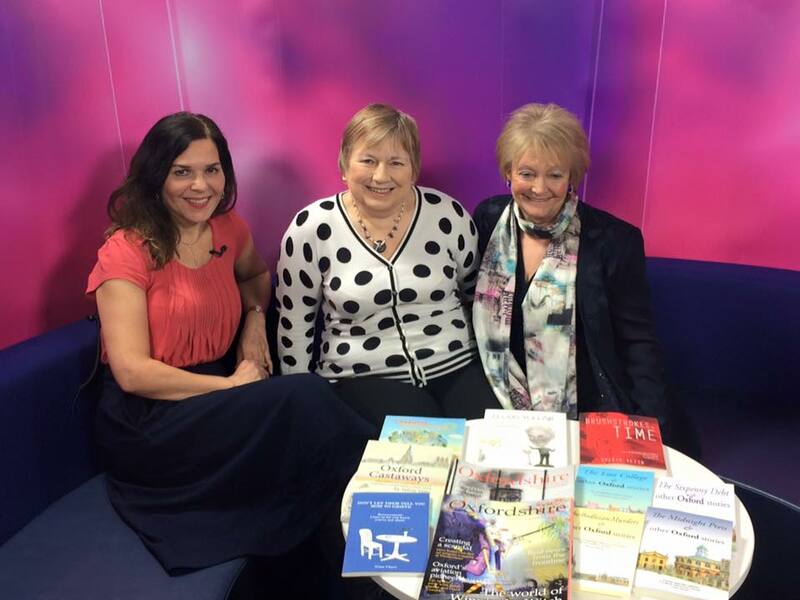 Chatting with Eve Ahmed and Linora Lawrence on That’s TV’‘s Talk Oxford. As well as talking about Brushstrokes in Time, we promoted our friend Gina Clay’s lovely and useful book ‘Don’t let them tell you how to Grieve‘ which I give to people who have suffered a bereavement. Linora was fascinating on early Jewish history in Oxford. Among the castaways present were illustrator of Winnie the Witch, Korky Paul, Victor Glynn the film producer (of among other things some Mike Leigh films) Joanna Harrison of The Snowman and the Snowdog. Weimin He artist in residence at the Radcliffe Observatory Quarter sketched . I told the story of the creation of Oxtopia & James Harrison of Oxfordfolio interviewed the castaways present. Documentary film maker Dai Richards and wood turner Richard Shock were also there. Cabaret style Gala Night for 100 people in Kennington Village Centre. A full Kennington Village Centre hummed with controversial discussion as everyone debated the kind of society they would like to create on Sylvia Vetta’s mythical island of Oxtopia. What aspects of life in Oxford and Oxfordshire would they like to recreate and what do they want to leave behind? FOKL’s president is Korky Paul the illustrator of the Winnie the Witch books. Korky kicked off the debate with Helen Peacocke, the food writer of The Oxford Times, Euton Daley who was for 23 years the director of Pegasus Theatre, Ray Foulk, the award winning green architect and founder of the Isle of Wight Festival (Ray brought Bob Dylan to England).The fourth speaker was Nancy Hunt of the Nasio Trust. Nancy had hot footed it from the NAT West Venus awards where she had been presented with the award for most inspirational woman in Oxfordshire . Wednesday December 10@ 7.30pm @ the Albion Beatnik Bookshop, Walton Street , Oxford ( £2 to Vale House). Just turn up. and click on the cover image.